Over the last seven months I’ve worked in Fairfax Virginia at William’s Notaro & Associates, a mechanical, electrical, and plumbing (MEP) engineering and consulting firm. I joined the firm as a co-op student through Virginia Tech’s Cooperative Education & Internship Program. At the time, I couldn’t find student reviews of similar MEP consulting internships. As a result, I discovered a career path that combines my academic training with hands-on application. It is a different kind of engineering. The unique company culture can instantly be seen in how everyone approaches their week– The engineers look forward to Monday mornings. Over breakfast, we gather to share project updates and allocate our time. This gathering focuses and homogenizes our efforts. Taking a seat, I absorb the information presented in this casual meeting. As it ends, the engineers leave with their usual, professional confidence. Each expects to succeed in his work and relies on the whole team to do the same. Aware of my obligations, I exit the conference room and appreciate their confidence in my abilities to help them with their tasks. A CAD drawing in production. This trust was shared from my initial training, onward. As soon as I demonstrated proficiency in AutoCAD and Williams Notaro CAD standards, I was expected to perform high quality work. 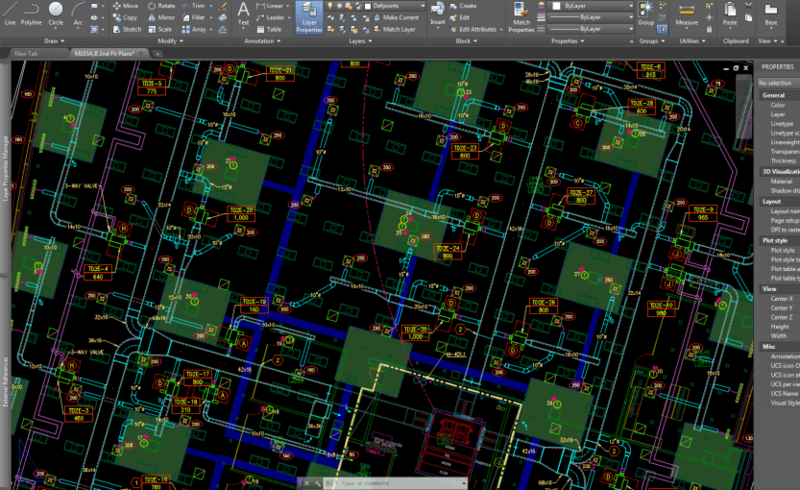 The engineers rely on me to accurately draft their designs and check contractor submittals within a project’s schedule. Because MEP design deadlines are often tight, quality work depends on mutual trust and the universal reliability of our engineers. I feel the high expectations that permeate the company and am proud to be part of this skilled community. As an Engineer-In-Training, drafting forms most of my contribution to the team. The process requires active focus and thought. Looking over a “markup”, I take time to understand the different systems’ function. After laying out the design, I check my work and form questions regarding design aspects I don’t understand. For instance, if I notice an abnormal HVAC system arrangement, I try to learn the nuances that influence the design. Many of these peculiarities result from unusual existing conditions or client preferences. Williams Notaro definitely attracts a myriad of curious renovation projects that require unique considerations and creativity. I look above the ceiling to verify existing conditions. The atypical nature of our clients’ projects produce a great variety of work experience. I’ve enjoyed many site visits, and on any day, I may lay out HVAC, plumbing, electrical, or natural gas systems and learn different attributes of their design. 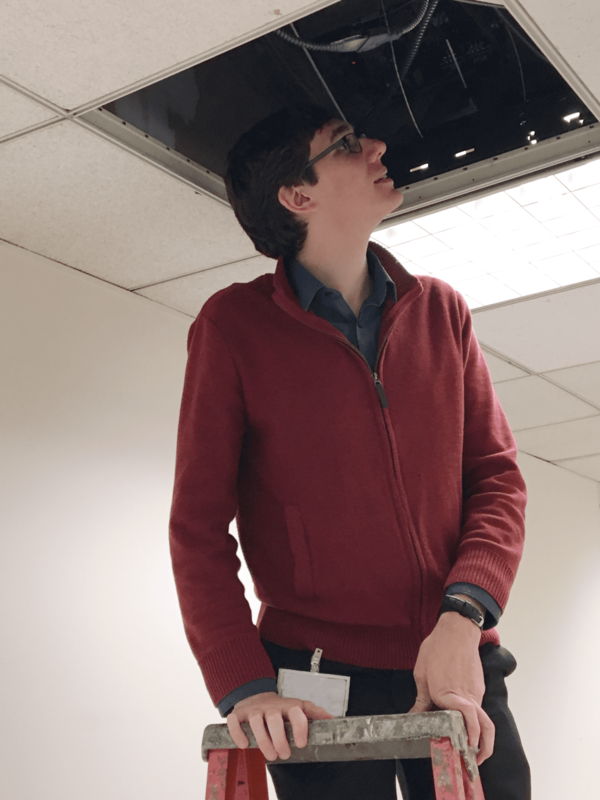 Despite interviewing as a mechanical intern, the firm encourages me to discuss power and lighting topics with Chas Lowe, an electrical project engineer. While Williams Notaro engineers focus on their primary field, they tend to gain knowledge and work experience in adjacent disciplines. As a result, the engineers often preemptively apply knowledge of other fields to their designs. 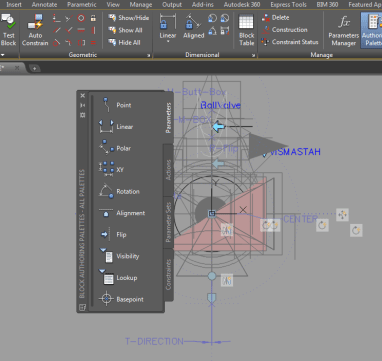 Some of the available CAD tools. After finishing my assigned work, I check for ways to help the others. When there is no available drafting work, I use these opportunities to learn and improve company CAD tools. Recently Mark Komisarcik, a mechanical project engineer, helped me update many of our dynamic AutoCAD blocks for functionality and adherence to our visual standards. Late afternoon, I ask for projects to draft the next day. I typically hope for continued work on a project, because I enjoy participating throughout its life-cycle. My co-op with Williams Notaro helped me realize why I love working, as a consulting engineer with a tight, skilled team. The work mixes fundamental engineering concepts, technology, critical thinking, and “hands-on” investigation. This Co-op session gave me insight into an interesting engineering career not publicized at many universities.